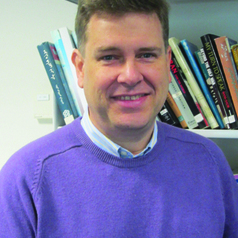 Matthew Gray joined Waseda University in Tokyo, Japan as an associate professor in September 2016. His role covers teaching on political science, especially on Middle Eastern studies. His research interests are mostly focused on the politics, political economy, and international relations of the Gulf monarchies. Prior to joining Waseda, he was at The Australian National University in Canberra over 2005-2016. Over 1997-2005 worked in the Australian government in various roles including trade promotion, defence analysis, and immigration policy. He has been a visiting scholar at Tokyo University in Japan and at Durham University in the UK. He is the author of Global Security Watch - Saudi Arabia (Praeger, 2014); Qatar: Politics and the Challenges of Development (Lynne Rienner, 2013); and Conspiracy Theories in the Arab World: Sources and Politics (Routledge, 2010).